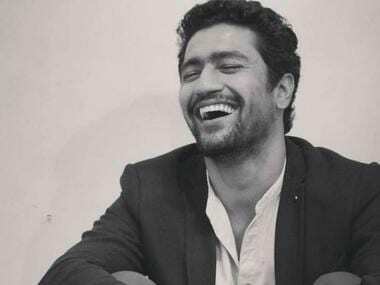 While he awaits the release of his next October, Shoojit Sircar has started shooting a "few clips" of his forthcoming biopic on revolutionary Udham Singh and will soon reveal the cast locked for the movie. The film is based on Singh, who assassinated Michael O'Dwyer, the former Lieutenant Governor of the Punjab in British India in 1940, to avenge the 1919 massacre of Jallianwala Bagh. "I am making the Udham Singh biopic, I'm already in the process of it, I've started shooting few clips also. The cast has been more or less locked, I'll be letting it out soon," Shoojit told PTI. Earlier, there were reports that Ranbir Kapoor would be playing the title role. Shoojit says he has had cinema-related discussions Ranbir, but not specifically about this film. "... But Ranbir isn't there. We are friends, we played football together so we have meetings together. We talk about cinema and other things, but no. If something happens with Ranbir in the future, I'll let you know," he adds. Starring Varun Dhawan, October will be Sircar's sixth directorial venture since his 2005 debut Yahaan. Over the years, while he has established himself as one of the top filmmakers, Sircar says his writing process remains unchanged. "I never write for the audience, I write for myself. If they want to watch my film, I'll be happy to show them. If they don't want to see then also no problem. I never work like 'I have to cater to this audience', I go with a story I believe in," he says.